The year was 2004 and the time was past midnight. I had just returned to the Times of India office in Kolkata, India, after a glitzy awards function where Manisha Koirala was given the best actress award for her role in the film Escape from Taliban. I just wanted to write the copy for the event I had covered so that I didn’t have to do it from home next day, which was my off day. I was at my workstation when I got a call from security downstairs saying that a lady named Sushmita Bandopadhyay wanted to meet someone from my department. Puzzled, I looked at my watch. It was 1 am. Since I was the only one in my department at that time, I invited her upstairs. Sushmita Bandopadhyay was a writer who gave Bengal a glimpse of the life of women in Afghanistan during Taliban’s dominance through her book Kabuliwalar Bangali Bou (Kabuliwala’s Bengali Wife) in 1997, a decade before Khaled Hosseini took on the world with his best-seller A Thousand Splendid Suns that delved into the same issue. I had read about her daring escape from Taliban-dominated Afghanistan and at that moment I could feel the adrenaline rushing through my veins at the thought of meeting her. It took her some time to find her breath after her climb up the stairs. After a glass of water, she gave vent to her anger – the reason that had brought her to my office at such an odd hour. She was livid with the organizers of the award ceremony (that I had just covered) for not inviting her to the function, considering the Bollywood film Escape from Taliban was based on her book. She also felt that if Manisha Koirala was given the Best Actress Award, then she too deserved some kind of mention or invitation at the ceremony. “I am amazed that I am the writer of the book, sitting right here in Kolkata and they didn’t bother to invite me!” Sushmita said angrily. That was Sushmita Bandopadhyay. She did what she wanted to do, even if that meant marrying and running away with a Kabuliwala to Afghanistan, escaping the country by digging a hole in the wall of her husband’s house, or even visiting a newspaper office at 1am. At that point I felt her anger was probably justified. But as an entertainment journalist I knew for a fact that being the bestselling author of the book that had sold 700,000 copies was not enough. 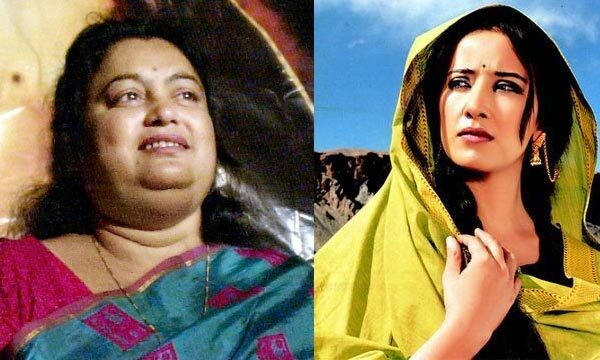 She would have probably found herself sitting next to Manisha Koirala had she been slimmer and prettier and had worn a designer salwar kurta instead of a how-dare-you attitude. She was clearly upset, but the fact that I gave her a patient hearing and noted down her words calmed her down considerably. After that night I spoke to her often on the phone asking her for quotes for my stories. In my interactions with her I realized that even if she had escaped Afghanistan, that country defined her. It was because of her experiences there she found fame as a writer and as the years passed by and she receded in public memory Sushmita wanted to reclaim her status as the Kabuliwalar bangali bou, who had taken Kolkata by storm with her story. What I read from the reports yesterday was that Sushmita went back to Afghanistan to write another book and film a series on the life of women there. People who knew her say she was foolish to have gone back there and can’t seem to understand why she went. I think I know why. She once again wanted to be the woman, who could dare the worst and write the truth. She probably wanted to see her name flashed across TV screens and in the pages of newspapers all over again. In the last two days, she is not only everywhere in the Indian media, she has also made it to New York Times, CNN and BBC. I am sure she would have been happy if the headlines had been about her next book and not about her bullet-ridden body. sorry, this may sound politically incorrect or outright gross; but i think if she had survived, she would have got the recognition she was looking for, like malaila yousufzai. now, the reader has to interpret the word recognition with some care, i do not mean it the bollywood way..
Oh no!! That was quite a story gone horribly wrong..! good you got to meet people like that. The movie is quite different from the book though but interesting nevertheless. Completely agree with you. But this time luck was not on her side. Blush! Blush! for the beauty bit but all these years you had doubts about the brains bit. Just joking. Thanks once again for reading and coming up with your comments. I look forward to that too. May be you are right. The way you depicted the scene at 1 AM and analysed her ‘mission’ at Afghanistan, perhaps, is correct. But I salute the zeal. Thank you. Completely agree with you. the toughest thing was going back. She was truly brave.